XtreemOS summer school: extended registration deadline! The deadline to register for the first XtreemOS summer school has been extended to August 5th, 2009. The deadline for grant request is now over (July 26th) and all the available grants have already been awarded. School participants are encouraged to give a presentation of their research work during the doctoral symposium (Sept. 10th): if you want your presentation to be considered by the PhD organization committee, please send us the title of your talk and a one-page abstract to summer09@xtreemos.eu by August 24th. Reminder: There will be an award to the best presentation! LinuxTag is Europe's leading event for Linux and free software. The four-day event has been taking place annually on the Berlin Exhibition Grounds since 2007. A total of 10,780 visitors from around the world attended LinuxTag 2009 in Berlin. We presented XtreemOS and XtreemFS with a community booth at LinuxTag 2009 in Berlin. During the four days of the exhibition we had a chat with about 60 visitors. For us it was very interesting to see what kind of problem the people had in mind to solve with XtreemFS. This ranged from using XtreemFS to replace VPN+Samba to video recording, editing and replication for streaming. Of course, there was quite some interest in using XtreemFS as a kind of cloud storage. More than 10,000 visitors make LinuxTag the largest industry event in Europe - Wider-ranging conference programme and greater international participation (135 exhibiting companies and projects and around 300 speakers). The next LinuxTag will take place from 9 to 12 June 2010 in Berlin! 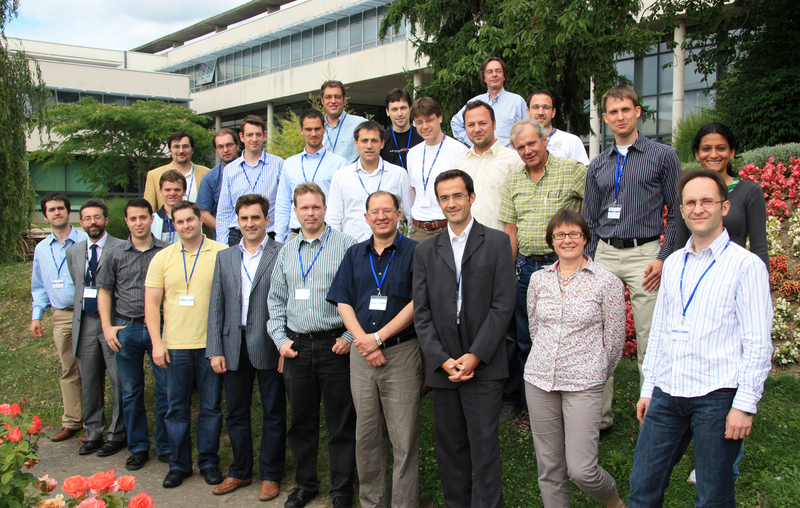 The third project review meeting was held last July 8-9 in Rennes, France. A delegation of XtremOS members gave presentations to allow the EC project officer and a reviewers' panel assessing the progress made by the consortium over the past year (June 2008- May 2009). The main technical and scientific achievements are the soon-to-be-publicly released second release of the XtreemOS system -including a graphical tool that makes the system easier to configure and install- and advanced features (integrated in XtreemOS v2.0). The first demos of XtreemOS 2.0 were also run: a core scenario of the whole XtreemOS system and individual demos of stand-alone components (XtreemOS mobile device flavour, grid checkpointing/fault tolerance, virtual nodes...). This project review meeting was followed by a meeting of the Scientific Advisory Committee on July 9-10, 2009. The XtremOS SAC is composed of experts from academic and industrial entities, both internal and external to the consortium, is a scientific evaluation consultative body. It aims at maintaining the consortium at the forefront of knowledge worldwide and tackling specific technical difficulties. The International Supercomputing Conference (ISC) is Europe’s leading Conference and Exhibition on High Performance Computing, Networking and Storage. The 2009 event took place in Hamburg, Germany, last June 23-26, 2009. 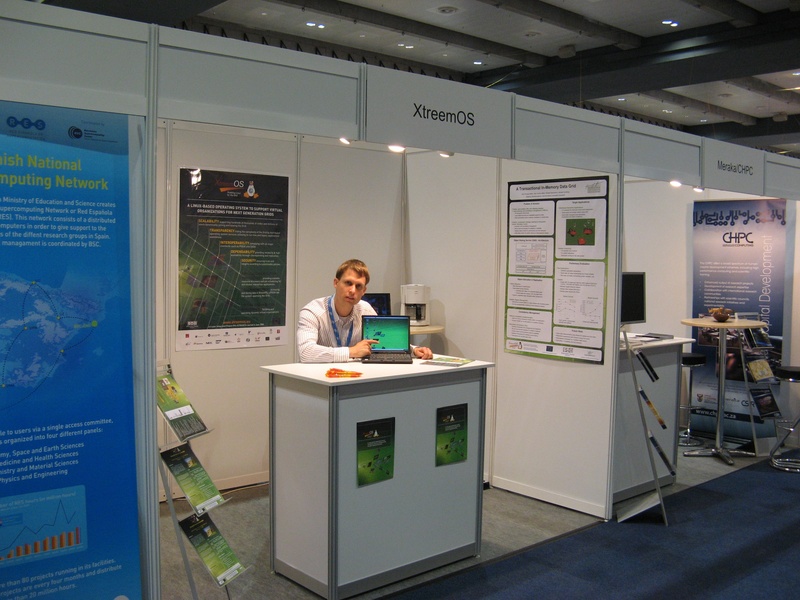 XtreemOS had a booth at ISC'09 showing the current software prototype (version 2.0 rc1) including demonstrations of the XtreemOS grid checkpointing service. Furthermore, the Wissenheim application (a multi-user virtual world) was also presented running on top of the XtreemOS Object Sharing Service (OSS) in charge of distribution and consistency management of the scene graph. ISC'09 had 36 sponsors, 120 exhibitors and 1,670 attendees. 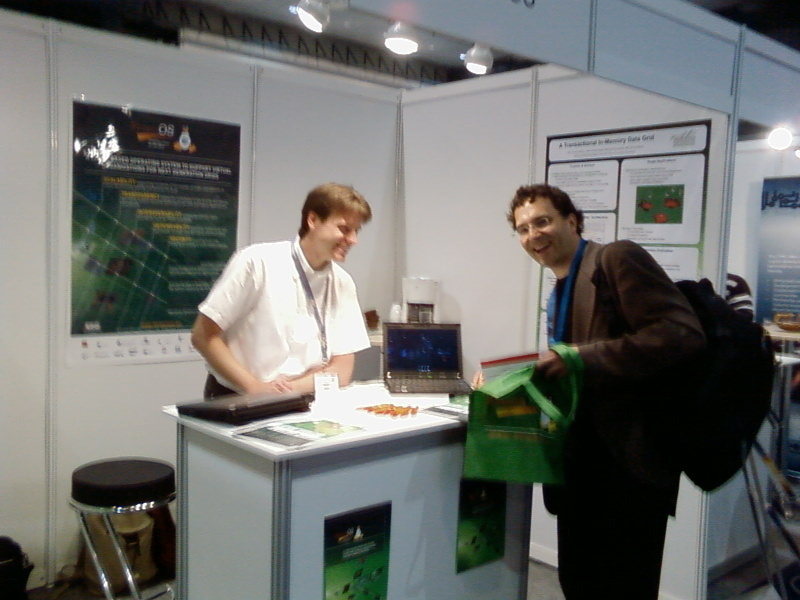 ISC'10 will be held from May 31 – June 3, 2010, in Hamburg again!